What is an abandoned isle ? More importantly what does Lonely-Isles define as an abandoned isle ? People will undoubtedly have different views on the islands that could be included in this section, but a line had to be drawn. For us the key is community. What I mean by community is that for an island to be included in this section of the site it must of once had a real community. This would mean several families living and working on the island on a largely self-sustaining basis. This would rule out islands where there were only ever seasonal workers such as shepherds, or islands which hosted a lighthouse. Islands which had recognised communities would then qualify as abandoned if at some point in time the whole community deserted their home. 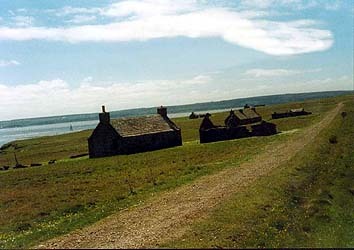 If later people did return to the island it would remain classified as abandoned unless a new community was formed. 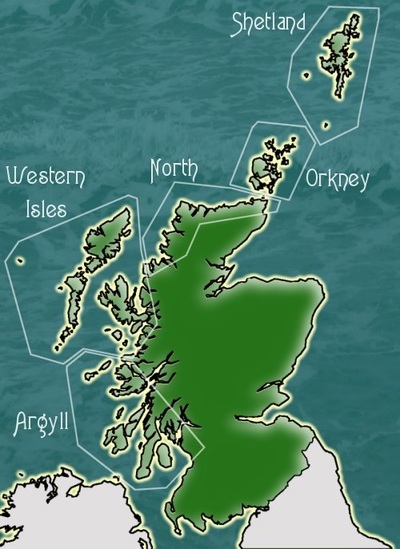 This means islands such as Rona (South) would be included even though they are still inhabited by one person who acts as a land manager; however, their community has long gone. 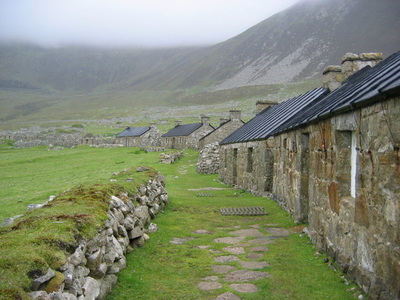 Likewise St Kilda may be home to an NTS Warden and an Army base but the true St. Kildan island community left in 1930 with the sailing of the HMS Harebell from Village Bay. Each Island page will explain its reasons for being included as abandoned. However, you will find the key will always remain community. Once the true people of an island leave their home behind it will in most cases remain abandoned. 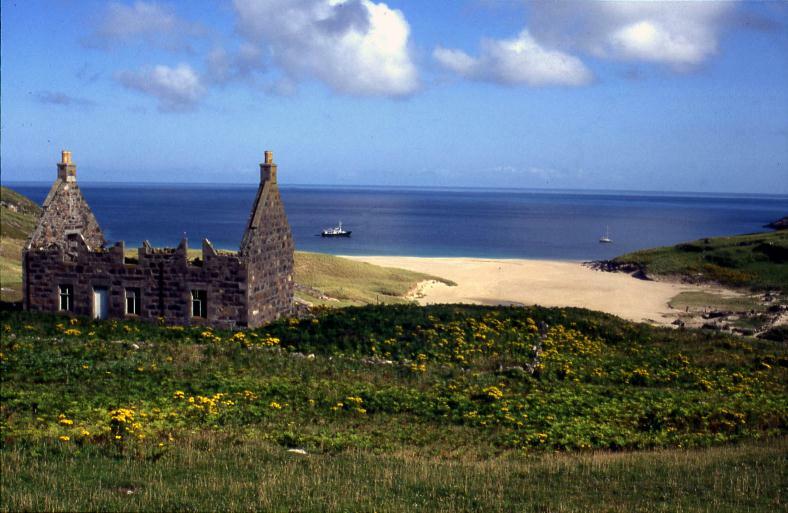 Around the coast of Scotland lie many of these empty islands where once the tears and laughter of human life were heard. Now instead the crashing of the sea and the sounds of birdlife fill the air. For hundreds of years man struggled against the odds and the elements to exist in his lonely island home. Defeated but unbowed these people finally left their homes with heavy hearts but hopes of an easier life elsewhere.